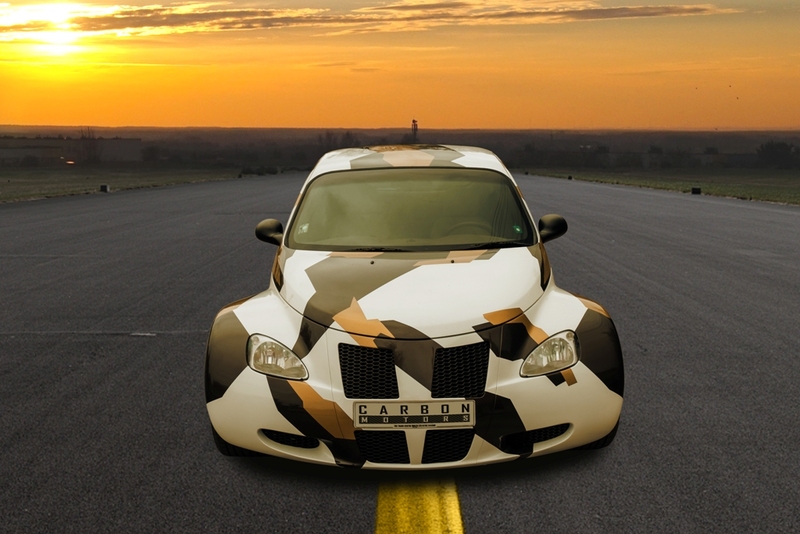 The Chrysler PT Cruiser went out of production in 2009 but that hasn’t stopped one die-hard fan from creating the highly-customized model you see here. 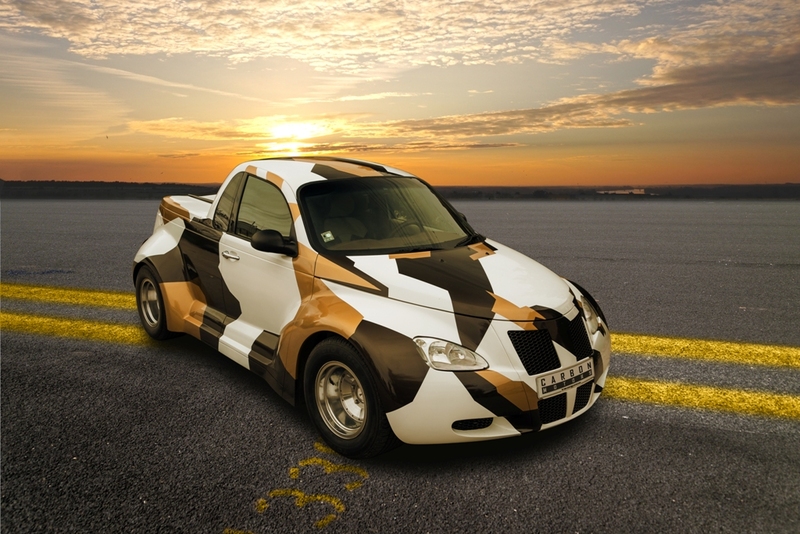 Dubbed the PT Cruiser Widebody, the car has undergone a radical transformation from a retro-inspired hatchback into a two-door pickup. During the process, the rear passenger compartment was removed and replaced by a custom truck bed with a matching tonneau cover. The model was also outfitted with a wide body kit that includes new bumpers, extended fenders, and special side skirts. 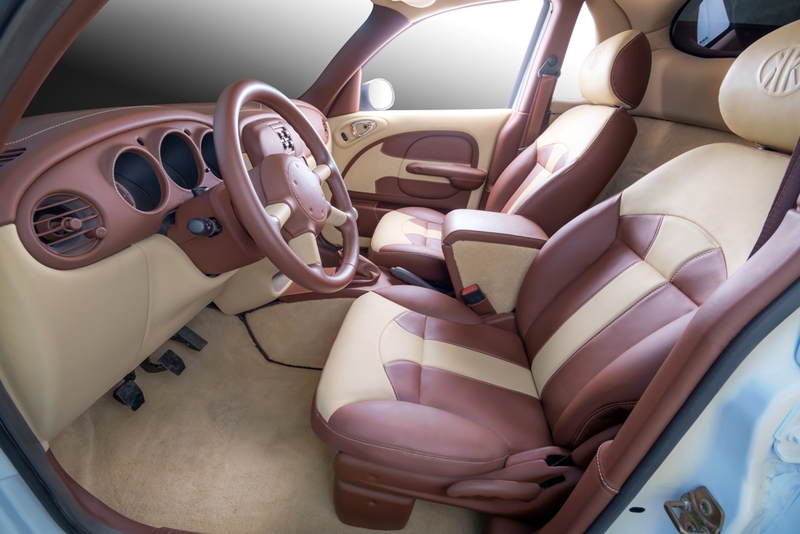 Bulgaria-based Carbon Motors was also tasked with creating a custom interior that matches the car’s unique sense of style. After creating a handful of sketches, the client signed off on a two-tone design that features premium leather upholstery on the seats, dashboard, and door panels. 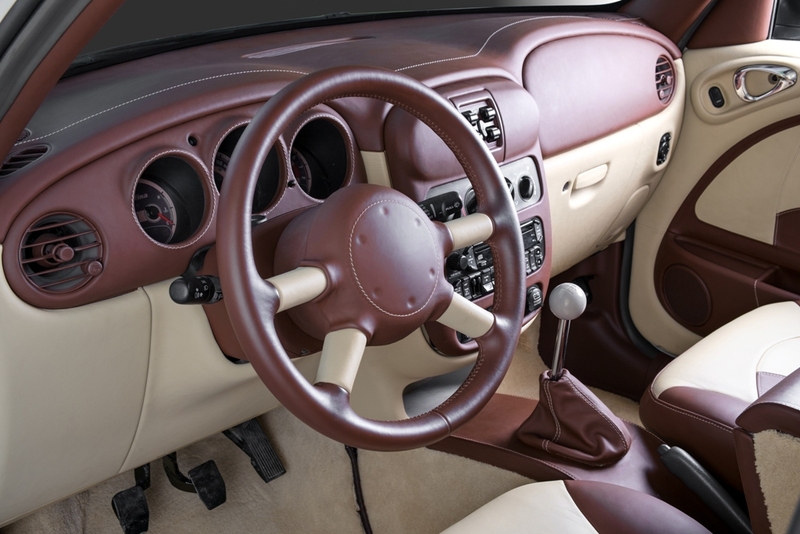 The car was also equipped with a custom center console and leather-wrapped A-pillars. 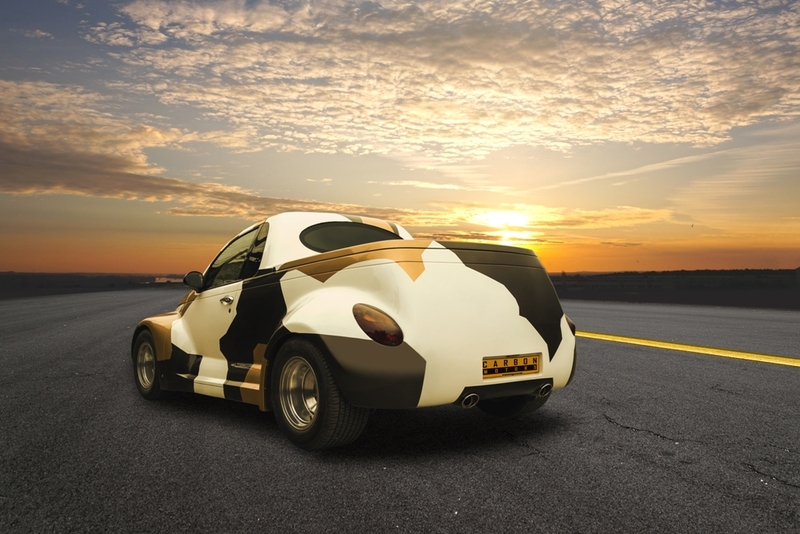 There’s no word on performance specifications but the PT Cruiser was offered with a handful engines over the years. Towards the end of the model’s life, the 2.4-liter four-cylinder produced 150 bhp (112 kW) and 165 lb-ft (220 Nm) of torque. There was also a turbocharged 2.4-liter four-cylinder engine that developed 230 bhp (171 kW) and 245 lb-ft (332 Nm) of torque.